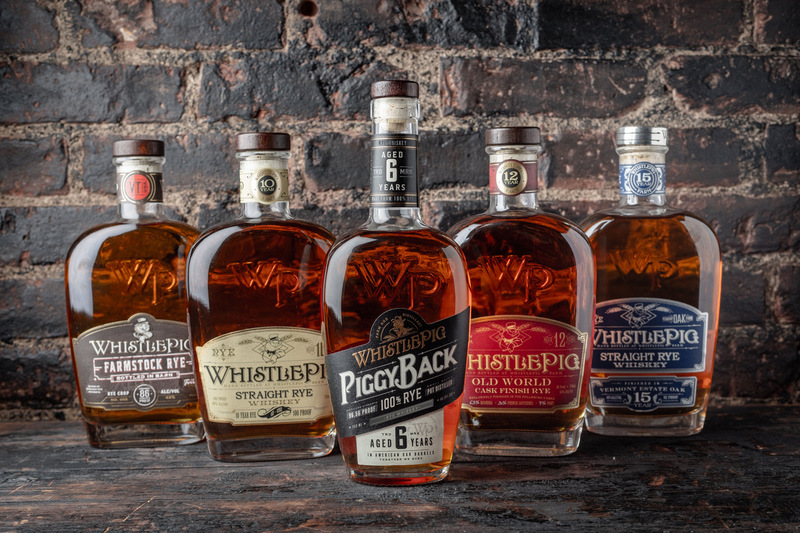 WhistlePig Rye Lineup, with new PiggyBack center. Photo Courtesy WhistlePig. On November 1st of last year the whiskey world lost a legend, but for WhistlePig, the passing of Dave Pickerell also meant the loss of its Master Distiller. Questions quickly arose as to how his absence would affect the Vermont-based craft producer. Today, the brand readies an answer in bottle form. 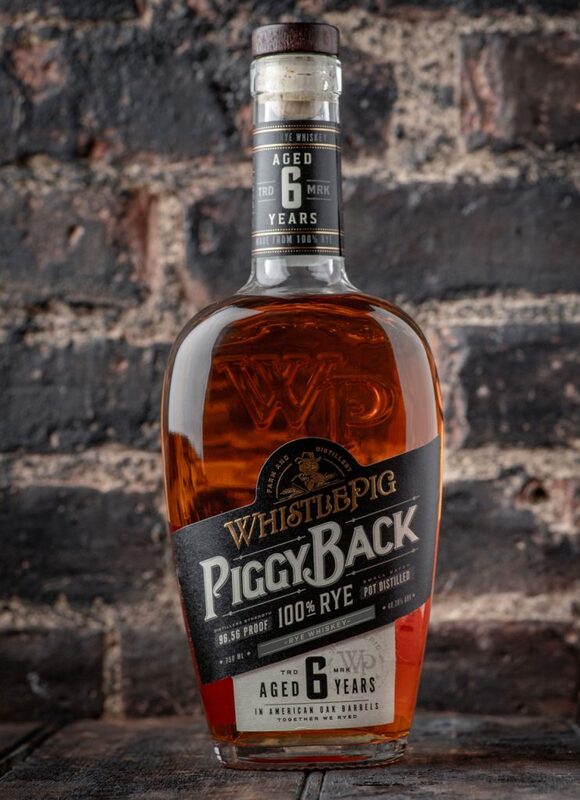 PiggyBack is a 6-year-old, 100 percent rye priced at $49.99; a well-friendly alternative to the 10-year flagship, designed with bartenders in mind. As Pickerell’s swan song, it’s evident his liquid legacy will be tasted for some time to come. We’ve got your first look at what’s in the glass. The juice behind the new label comes from ADL (Alberta Distillers Limited), the same source as original WhistlePig. 26-year-old Master Blender Pete Lynch has assembled a spicy, slightly hot rye where the namesake grain shines bright. Pickerell’s influence, however, is impossible to ignore. Like his 10-year before it, PiggyBack remains true to the Monongahela style he preferred: bold, spicy, and free of corn. “He had a chance to see some of [ADL’s] middle-aged stocks in some of the last rickhouses in Calgary,” recalls Lynch. “We tasted straight from the barrel, and decided to whip up some cocktails with it before a long night of rodeo and honky tonk.” It was during this trip, in July of 2018, when Pickerell came up with the concept (and name) for PiggyBack. A decade earlier, the original rye benefited from the immediate embrace of the American bartending community. This was his way of reciprocating the love. Cutting the cost almost in half from the flagship means it’ll work its way onto more cocktail menus. Its higher proof was selected to stand out against modifiers. And the bottle, with its slender shoulders and neck, is constructed for an efficient pour. WhistlePig PiggyBack 6-Year Rye. Photo Courtesy WhistlePig. This one will, instead, move the Manhattan fans out there. A lingering thread of cinnamon and pepper lifts to reveal a slight, dark fruit surprise. It enters market as the only super-premium whiskey combining at least 6 years of age with high proof and a 100 percent rye grain bill. Stir it up with a dry vermouth, and you’re sipping on a compelling eulogy to the lasting brilliance of Mr. Pickerell. 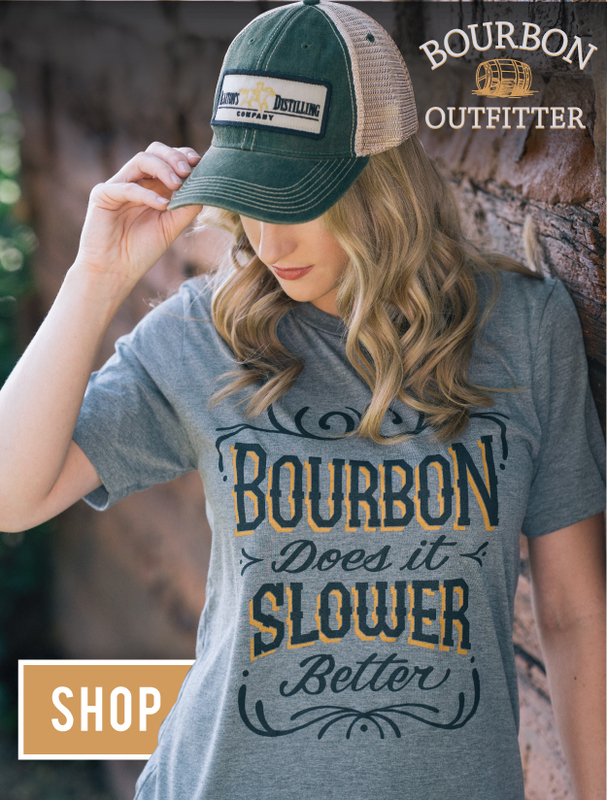 Nostalgia aside, there are plenty of reasons to be excited for the future of ‘WhistlePig 2.0.’ In addition to Lynch, the production team consists of two talented female distillers: Emily Harrison and Meghan Ireland. They’re building what will eventually become the country’s first entirely estate-driven rye: spirit distilled from grain—and matured in Vermont oak—all grown on property. Meanwhile, the folks in charge of the pursestrings aren’t at all afraid of continued experimentation. It’s just one more way in which Pickerell left his enduring fingerprint on the brand. “Dave’s go-to line to me was always very reassuring,” says Kozak before quoting his dearly departed friend: “The beauty of being a whiskey maker is if it doesn’t work, we can just drink our mistakes!” With PiggyBack, at least, they needn’t worry about that problem. PiggyBack is already on some shelves. Search for WhistlePig whiskeys here.